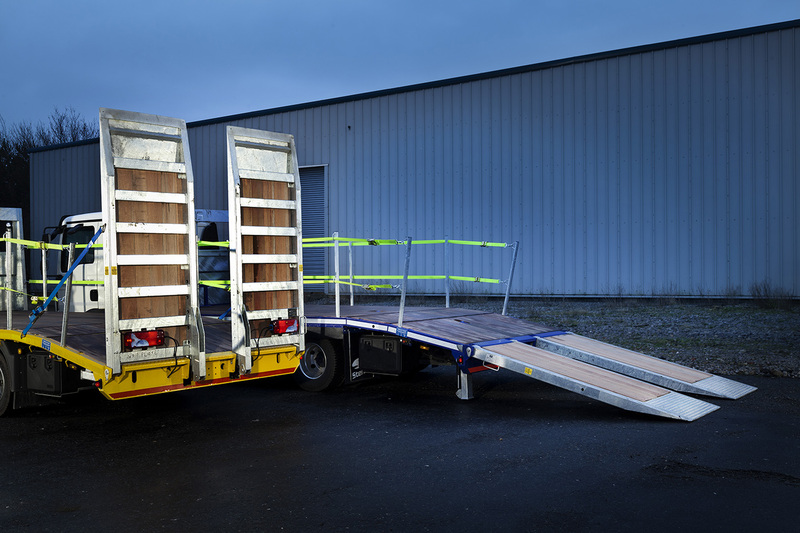 The straight ramp provides a popular choice for its simplicity and ability to fit any size truck chassis from 7.5 tonnes to 32 tonnes. With a double bend beavertail and 2.5M length, this is ideal for most plant and access machines which do not struggle with steep gradients. 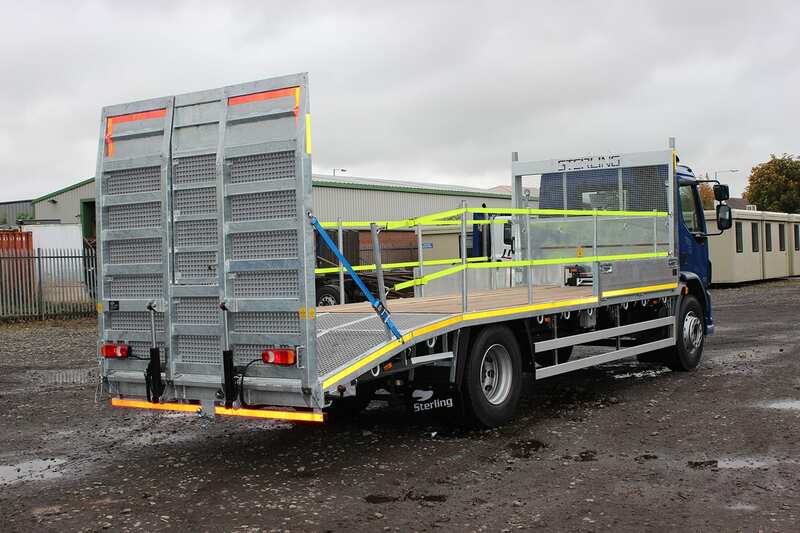 The straight ramp is a popular choice for its simplicity and ability to fit any size truck chassis from 7.5 tonnes to 32 tonnes. 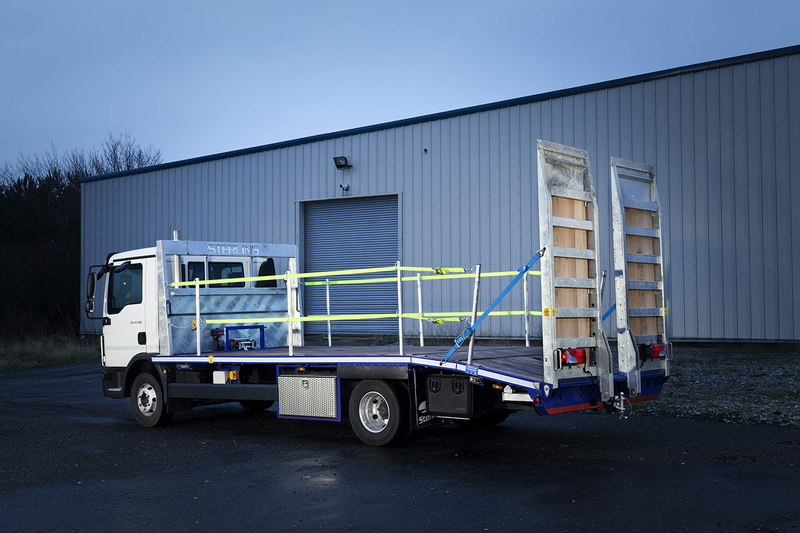 With a double bend beavertail and 2.5M length, this is ideal for most plant and access machines which do not struggle with steep gradients. 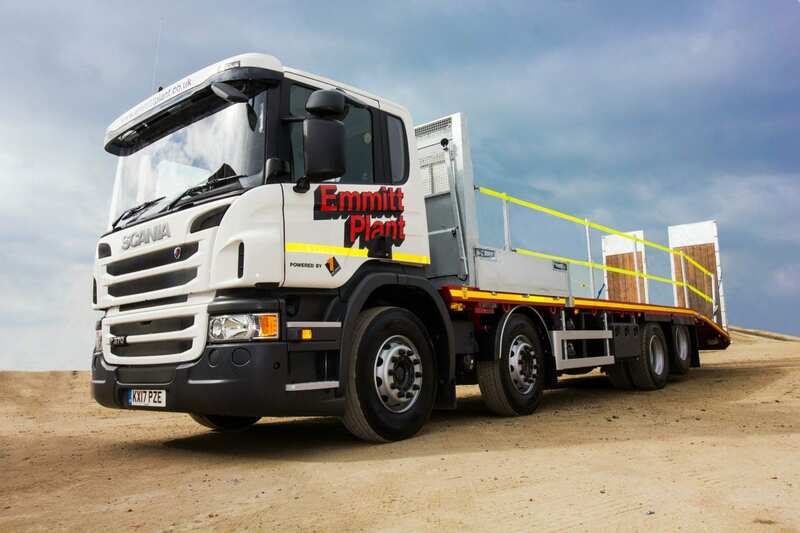 The straight ramp style is suitable for machines such as Excavators, Boom lifts, Tractors, Dumpers. However low clearance machines such as scissor lifts and spider lifts are best loaded using the double flip ramps. As standard the Sterling straight ramp system is available as two 1.0M wide ramps, leaving a 500mm gap between each ramp. Another option is a ‘full width’ ramp, which is a safer solution when carrying narrower machines such as smaller scissor lifts and rollers. 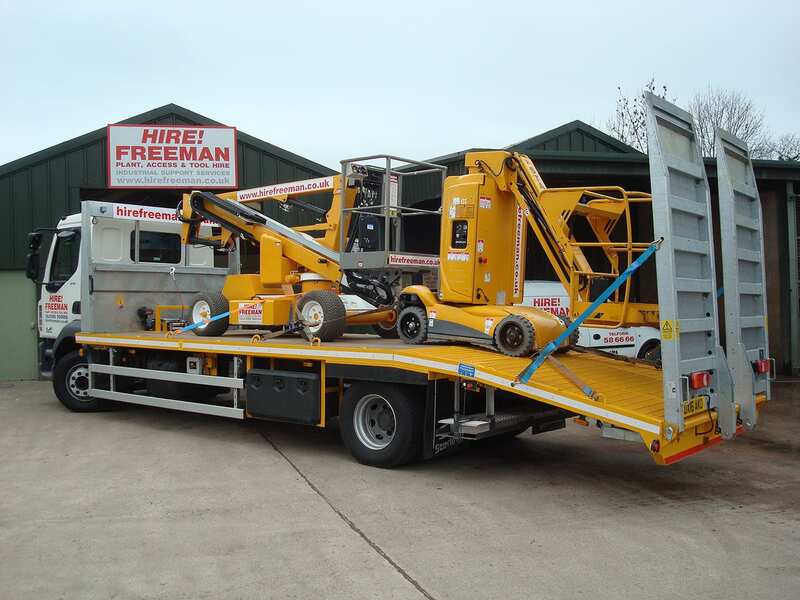 The full-width ramp is usually preferred by clients moving 3 wheeled fork lift trucks. It eliminates the risk of machines or personnel falling between the ramps. Speak to one of our experienced team for a quote. 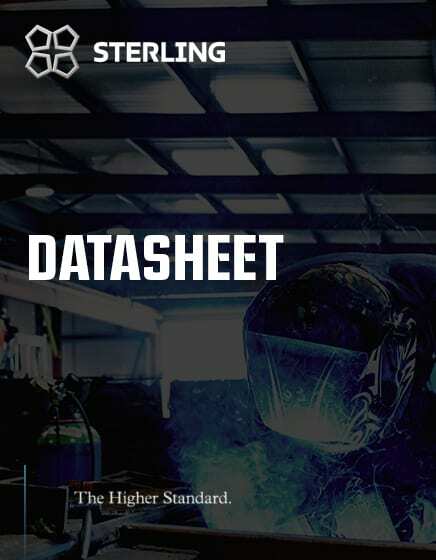 Download this datasheet to give you all the information you need to know about the Straight ramp style. 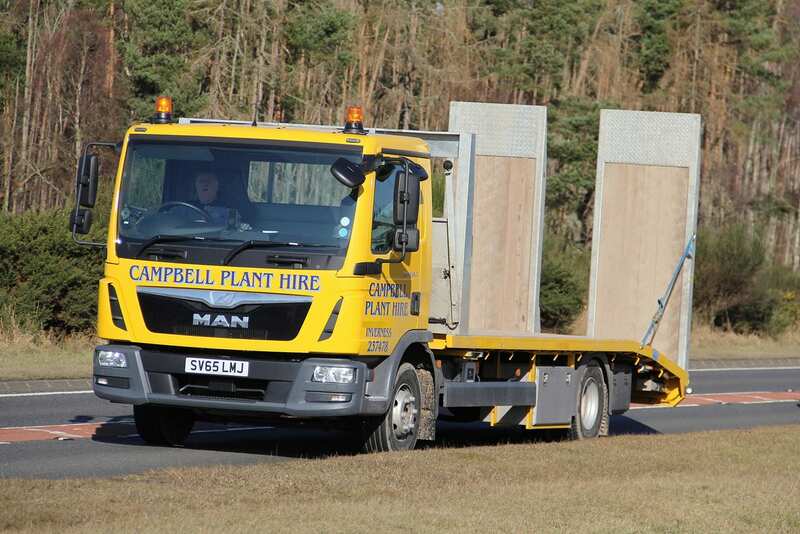 What is Zinc Galvanising & Why is it Used on Trucks? 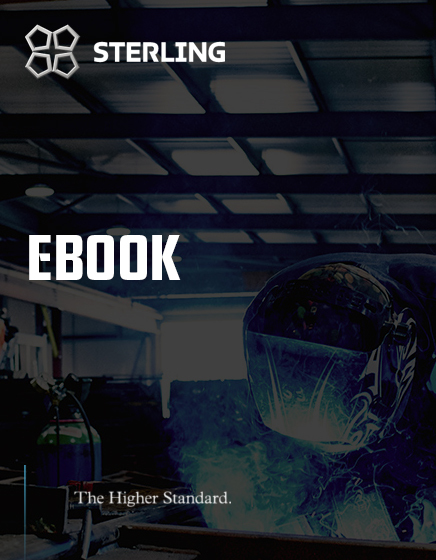 Download our Ebook covering why we use zinc galvanising on our products.